ฟิตอังกฤษ: ภาษาอังกฤษวันละนิด - I want to share everything with you. ภาษาอังกฤษวันละนิด - I want to share everything with you. I want to share everything with you. 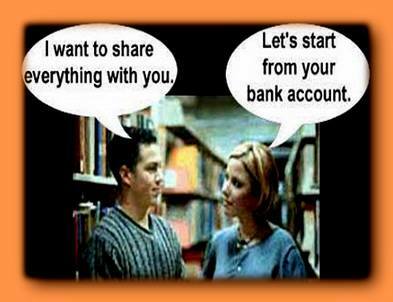 Let's start from your bank account. 20 English Sentences a Day !